414 pages. Members of Exit will be able to buy the book at almost a 50% discount. 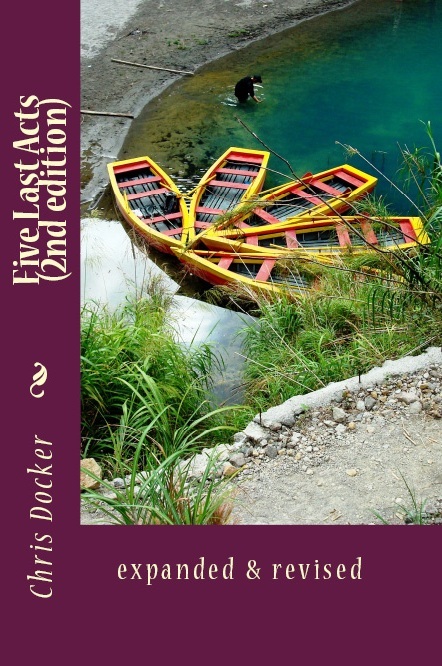 Unlike previous manuals from Exit, Five Last Acts 2nd Edition is available both to the public and to members of Exit. Exit purchases it at a special price and makes it available to its membership at a vastly reduced cost. How is Five Last Acts 2nd Edition different from the 1st Edition? The book has more than doubled in size from its original 186 pages. There are now over 40 illustrations and line drawings; much of the text has been expanded and simplified, making it easier to follow and implement. Source material is fuller to assist other researchers and allow readers to have confidence in its findings. The helium chapter has been expanded and extra detail added to overcome the slightest possibility of discomfort or ill-ease. The voluntary starvation/dehydration chapter has been greatly expanded to include essential new information of great value. The compression chapter has been expanded to provide even greater safeguards. A guide to guides has been expanded to bring it up to date, cover more background, and look at alternative manuals. The law has been explained in much more explicit, accurate detail than before. The drugs chapter has been enlarged to examine current information available and warnings on travelling to Mexico for medications. Other chapters have been enlarged to include extra practical tips discovered at workshops and trial runs. The primary aim of the book is to give the reader sufficient information that can dramatically increase the chances of a peaceful and dignified dying. It does have its limitations – if you were completely paralysed, for instance, you – sadly – would not be able to use the information unaided. The main concern has been the need of people with some physical and mental capacity who seek a reliable manual with all the necessary instructions in one place. The guiding principles are: 1) it must be accurate, 2) it must be practical, 3) it must reach the intended audience with a minimum of danger to others. The effort in ensuring these have been met has been enormous. Please note: we do not have any spare copies available physically in the office – this includes review copies. We are expecting a consignment for members before the middle of next month. This entry was posted in assisted suicide, mercy killing, palliative care, self deliverance, voluntary euthanasia and tagged Five Last Acts 2nd Edition. Bookmark the permalink. Nice work! I can hardly wait to see it.